the baby parrots confiscated by police for which a woman has been arrested. 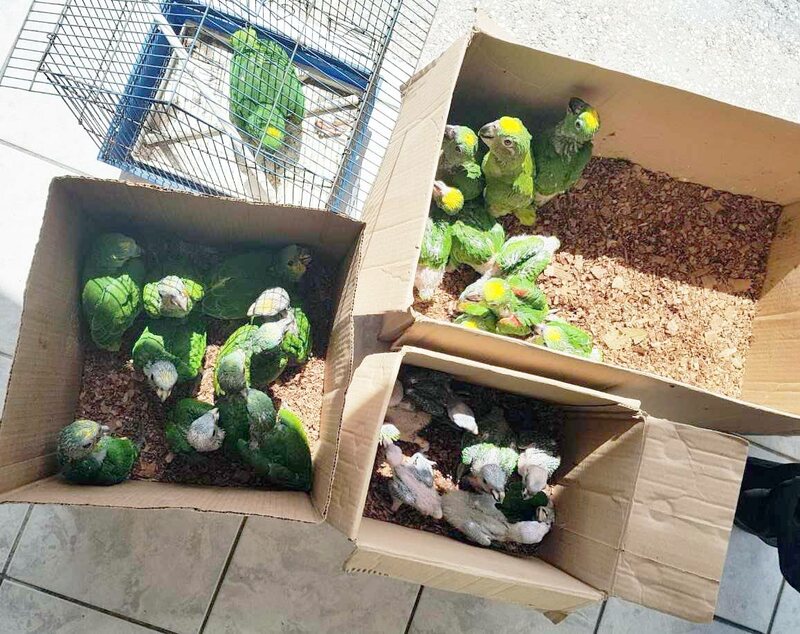 Close to 30 yellow headed parrots were rescued from their captor by officers of the South Western Division Task Force, during an anti-crime exercise on yesterday, according to a police release issued this afternoon. According to the report, officers led by Snr Supt Neville Adams and Sgt Shaheed Ali descended on a Savannah Road, Santa Flora home between 12 noon and 3 pm, when they discovered 28 of the protected birds at the home. A 31-year-old housewife was arrested in connection with the find. The officers were also assisted by a contingent of game wardens from the Forestry Division's South Patrol. Reply to "Kidnapped parrots rescued"